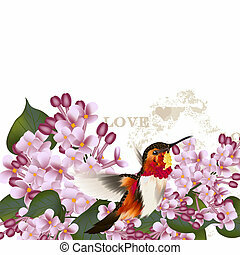 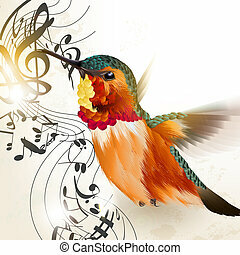 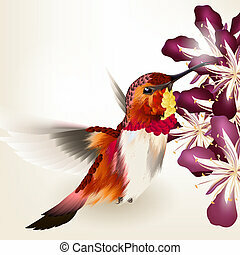 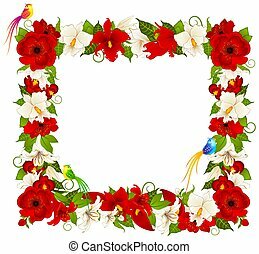 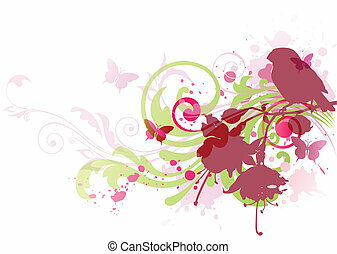 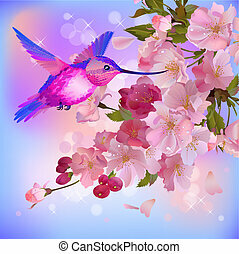 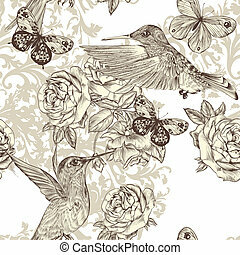 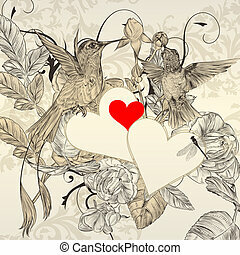 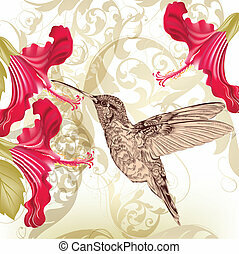 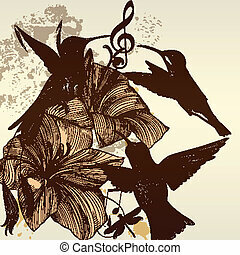 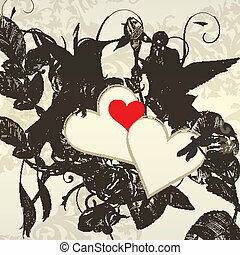 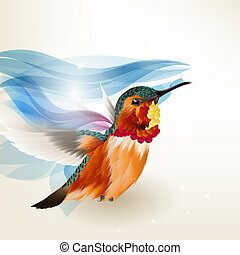 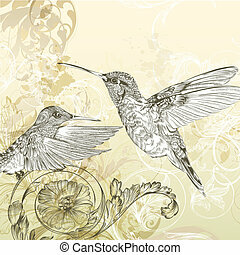 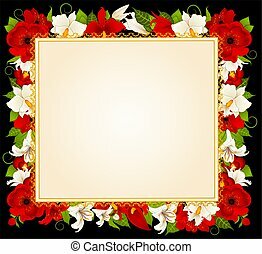 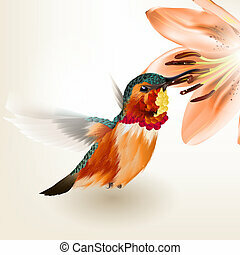 Beautiful vector background with humming bird and flowers. 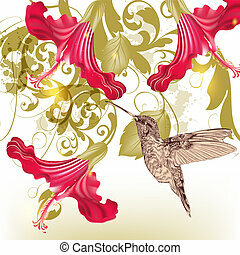 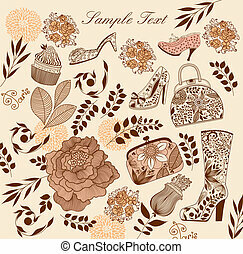 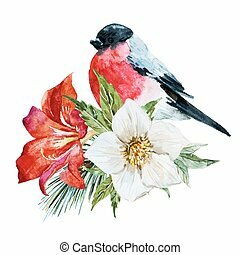 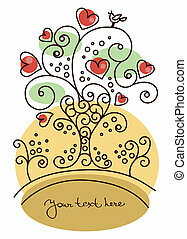 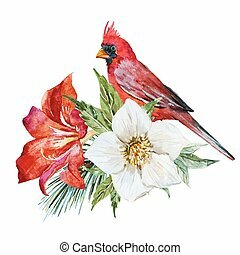 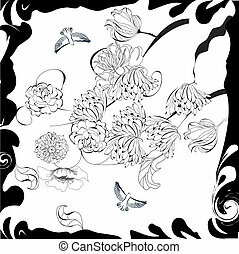 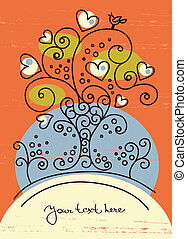 Vector illustration with bird and flowers. 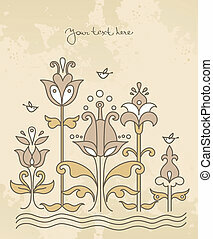 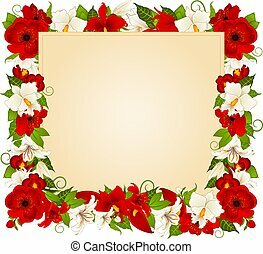 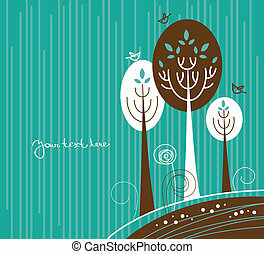 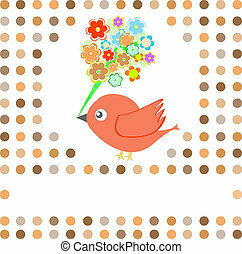 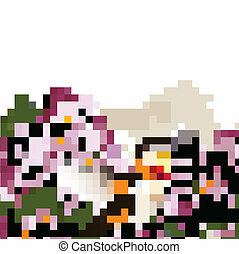 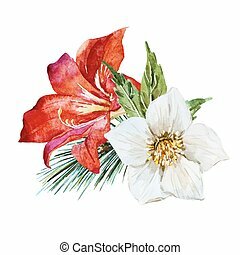 Abstract light background with flowers and bird.